Eugène Henri Paul Gauguin (French: 7 June 1848 – 8 May 1903) was a leading French Post-Impressionist artist who was not well appreciated until after his death. Gauguin was later recognized for his experimental use of colors and synthetist style that were distinguishably different from Impressionism. His work was influential to the French avant-garde and many modern artists, such as Pablo Picasso, and Henri Matisse. 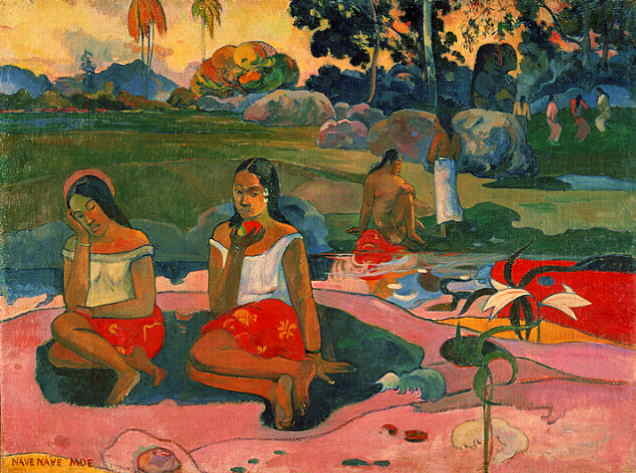 Gauguin’s art became popular after his death. Paul Gauguin painted Nature morte aux tomates the year he quit working at the stock exchange and devoted his career to art. The work from this period is closely related to Impressionism – he later broke away from the movement by simplifying his painting and focusing on shape and bold blocks of colour. 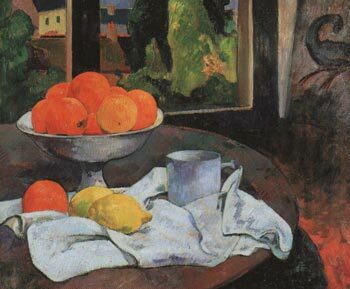 In the two years before Gauguin painted Nature morte aux tomates, he exhibited at the Salon and formed a close relationship with Camille Pissarro. The short brush strokes create a wavy texture over the surface of the composition carrying the eye from one corner to the other and reflect Cezanne’s influence over his art. Where Do We Come From? What Are We? Where Are We Going? 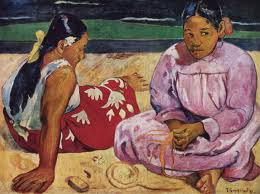 is a painting by French artist Paul Gauguin. Gauguin inscribed the original French title in the upper left corner: D'où Venons Nous / Que Sommes Nous / Où Allons Nous. The inscription the artist wrote on his canvas has no question mark, no dash, and all words are capitalized. In the upper right corner he signed and dated the painting: P. Gauguin / 1897. The painting was created in Tahiti, and is in the Museum of Fine Arts in Boston, Massachusetts, USA. Gauguin was influential in the foundations of modern art.Forerunner to the surrealists.One of the first artists to center his work on an exotic locale like Tahiti.Freeing color from the national world, using color in an abstract way. First time an artist did not use color to reflect reality.Painted rural women in Brittany. Unusual combinations of people and objects.Tahitian paintings celebrate the lushness and mystery of the island.Often painted Tahitian people.He focused on color and line, employing very bright, vibrant shades that reflects tropical environment. 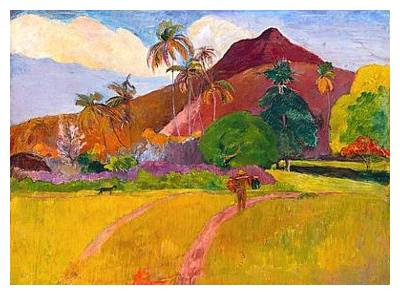 See more of Gauguin's paintings here.